A racquet in every hand! A smile on every face! That's the motto of Jump Start QuickStart Tennis, an initiative created by the founder of QuickStart Tennis of Central Virginia in January 2009 to accelerate the introduction of QuickStart Tennis to 36,000 kids in 82 elementary schools and 19,000 kids in 34 middle schools in 21 counties over five years. We got that done in three years, so in 2012 we added another county. In 2014 we added another, and by August 2014 had QuickStart Tennis in all 23 counties. At that point we had 141 QuickStart schools with over 67,000 kids!!! Only eight schools left to go . . . then in October 2014 we added four more counties and two independent cities with 62 schools and 27,000 kids to our goal! Today we have tennis in 207 schools with 95,000 students in 27 counties and 3 independent cities, and we're not quite done yet! 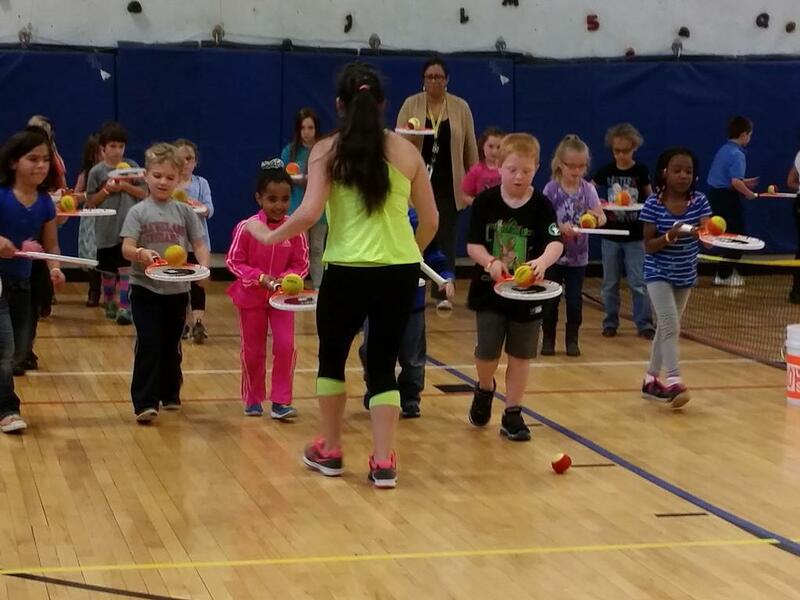 We LOVE introducing kids to tennis in PE class. That's the start of the tennis pathway. The Jump Start QuickStart model is straightforward – TRAIN, EQUIP and SUPPORT self-sustaining QuickStart Tennis programs in public schools, parks & recreation departments, private schools, Boys & Girls Clubs. YMCAs and other youth-centric community organizations. Training is provided for free. School Tennis Workshops are held for PE teachers as part of Professional Development Days, but scheduling is flexible. Parents, grandparents, older junior players, tennis instructors, recreation supervisors and community volunteers are also invited to attend QuickStart training sessions. Once trained, they can run after-school and out-of-school programs. Schools that join USTA as organizational members receive the USTA Physical Educators Kit for Teaching Tennis in Schools. 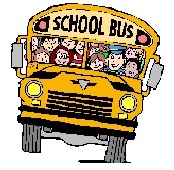 Hop on the QuickStart bus and come along for the FUN! Equipment: QCV requests grants and solicits sponsorships and donations to fund QuickStart equipment grants. When a school commits to teaching QuickStart and agrees to write a thank-you note to donors who make the equipment grant possible, QCV provides the school with QuickStart equipment consisting of racquets, foam and felt balls and portable nets. No tennis courts required! Some free equipment is now (2018) available through Net Generation, the USTA's new initiative to grow youth tennis. Support: QCV is only a phone call away and ready to help out with a variety of tennis- and school-related issues. Through STEP UP for QuickStart! QCV encourages parents, grandparents, community volunteers and parent-teacher organizations to get involved in tennis at school as volunteers and providers of financial support for ongoing QuickStart Tennis programs at schools. Because of QCV more than 95,000 kids in 207 schools now have the opportunity to learn to play tennis because of Jump Start QuickStart, and that doesn't even count the seven grades that have moved on since we started.